Katra Town, lying in the foot of Trikuta Mountains the distance between Jammu and Katra is approximately 52 km. Ordinary and luxury buses are available from Jammu to Katra at a frequency of 10-15 minutes. While ordinary buses can be boarded from the State Road Transport Bus Stand around 1 km from Jammu Railway Station, luxury buses are available from just outside the Railway Station. It takes around 2 hours to cover the 50 km stretch from Jammu to Katra. The terrain is hilly and winding and passengers often experience nausea and vomiting. Private Taxies for Katra are available from the Jammu Tawi Railway Station and Jammu Airport or you call Online Holidays for best services. Many operators also offer taxies on a per seat basis. As with many other tourist destinations, it is not uncommon for passengers to be accosted at the Airport or the Railway station by taxi drivers. It is advisable to check the officially approved rate (the same is subject to periodic revisions) and insist on paying only the approved rate. A taxi would normally take 70-80 minutes to reach Katra from Jammu. The cave shrine of Mata Vasihnodevi or Trikuta Bhagwati (alt: 5,200 ft.) has been a beacon of faith and fulfilment to millions of devotees from all over the world. The pilgrimage to the Shrine holds great significance for the pilgrims. From here a trek of around 12 kms takes a pilgrim to the Holy Shrine. One can undertake this trek on foot or on horses/ponies or on palanquins (palkies or dolies). While most of the pilgrims prefer to go on foot, some who find it difficult to negotiate the climb hire a pony or a palanquin. Meet our representative upon arrival and take a transfer to the hotel katra after check in take a rest overnight stay in hotel at katra. After Breakfast leave for jammu to catch a flight or train for next destination Tour Ends. 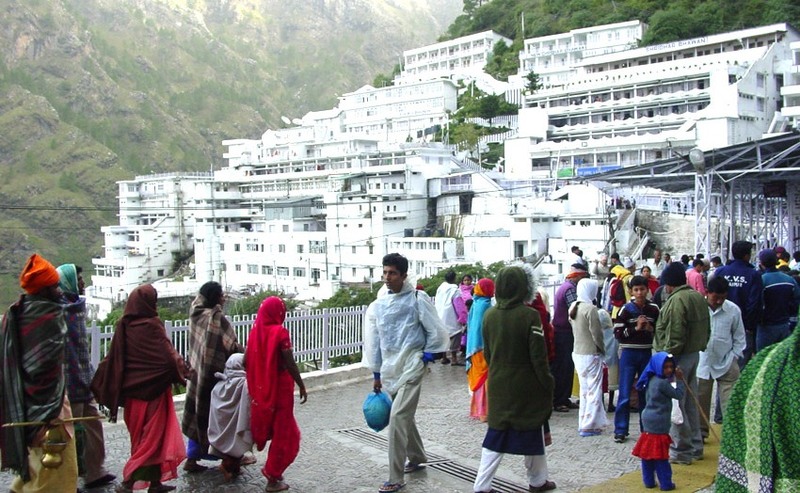 Places Covered: Jammu –Katra- Vaishnodevi –Jammu.